Coursera is the biggest provider of MOOCs (massive open online courses) with 25+ million learners worldwide and 150 partner universities. Read our overview of the MOOC giant. If you have ever heard about MOOCs (massive open online courses), chances are that you’re familiar with the name Coursera. The U.S. MOOC provider is the biggest platform in the world for this type of interactive online course when looking at learner numbers (more than 25 million at Coursera). In terms of course participants, they are well ahead of other relevant (and equally high-quality) providers like edX or Udacity, and the growth shows no signs of slowing down. In almost every country, Coursera has been able to inspire online learners. But what´s behind this mega MOOC platform? One year after launch, Coursera offered only 150 MOOCs. Three years later, they managed to break through the significant mark of 1,000 online courses – partly because of rapid international growth. And in 2016, they had already reached 100 million course participations. 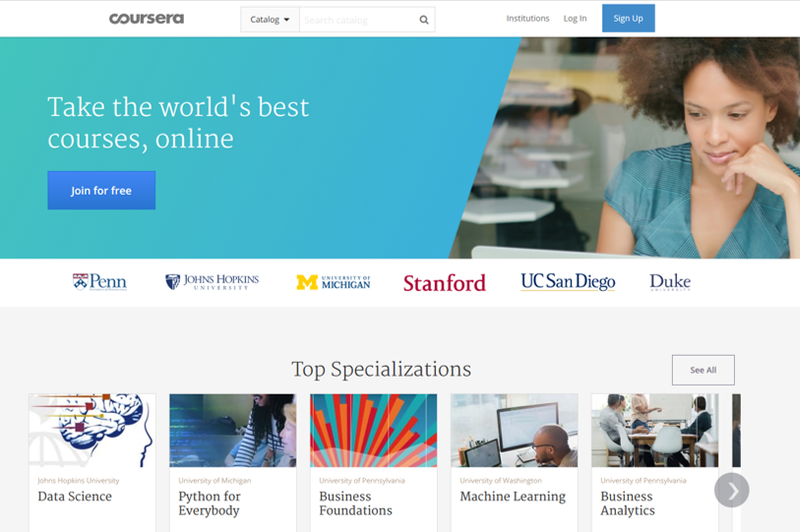 Which courses can you find at Coursera? The platform offers MOOCs in many different areas: from natural sciences to humanities and various cultural topics. Looking at pure numbers of courses, however, there is a certain focus on MOOCs in the areas of computer science / programming as well as business. Both of these areas are also the most prominent on other e-learning platforms. The reason is simple: the demand for these subjects is very strong among online learners. So how exactly does a MOOC work? Generally, a MOOC offers short video sequences that are normally 5 – 10 minutes in length. Over the course of a few weeks, participants can watch multiple videos as often as they want. The playback speed can be varied as well. Thus, participants will not get bored and the speed will never be too fast, no matter how complicated the lecture might be. In addition to the video content, participants can interact with other learners from around the world regarding the course content, and they can discuss questions in discussion forums. Often, teachers or their assistants will be active in these forums as well. Sometimes, there are voluntary mentors that can help you in the forums. The additional learning benefit from these accompanying discussions can be substantial! Besides videos and forums, there are usually multiple choice tests and other exams that can be taken online. The answers are corrected partly by an automated system and partly through a peer assessment by other MOOC participants. After finishing a course series of MOOCs ("Specializations"), participants can work on a “Capstone” project that applies the lessons to a real-world example. For many MOOCs, the course content can be accessed for free. (There are however exceptions – read more about free courses here.) If you wish to receive a certificate after successfully completing the MOOC, you will have to register for the certificate track. If requested, and after paying a fee, you will then receive a verified electronic certificate that you can print out or integrate into your LinkedIn profile. (See "Are the Certificates Worth it?") To confirm your identity, you must go through a verification process (via webcam and ID). Note: Coursera waives the fee for the certificate track in some cases (“Financial Aid”). The most popular Coursera course thus far comes from the area of personal development: "Learning How to Learn" covers professional learning techniques and has already helped hundreds of thousands of learners with their studies. Among other things, the course explains how the human brain learns and gives practical tips on topics such as memory training or avoiding procrastination. The course language is English, but there are subtitles in other languages available for this MOOC. Another very popular course gives an introduction to Machine Learning (taught by one of the world´s leading AI experts). You can find these courses and other Coursera MOOCs in our directory (along with thousands of online courses from other providers). A full list of the top Coursera courses is available here. When Coursera began, the online courses on offer were available without any restrictions. Users for offline learning could even download the videos. Since then, things have changed a number of times, from a course structure with a fixed start and end date to a self-paced learning schedule and other variations. In the summer of 2016, it was announced that the platform wants to focus entirely on a system with fixed course sessions, mainly because of the improved completion rates in courses where a “learning cohort” learns and interacts collaboratively. However, many MOOCs are offered frequently (every 4-6 weeks), so even when learners miss the start date of a course, they soon get another chance to participate. What is the key role of Coursera as a MOOC platform, and how is it different from a university? Simply put, when offering MOOCs via Coursera, there is a separation of content and technology. The course content is created by universities or companies that want to use MOOCs to reach a new or more international learning audience. Often a professor of a university creates a MOOC for an online audience separate from his or her regular lectures (i.e., the professors or teachers present their content in recorded video sequences). At Coursera, there are more than 150 partner institutions, including top universities like Stanford, Princeton, Yale and Pennsylvania (Wharton). Examples from other countries include the University of Munich, University of London, and HEC Paris who are active as MOOC creators, but also institutions such as Shanghai University, the Indian School of Business or the World Bank. On the other hand, Coursera as the MOOC platform handles the technical aspects of publishing the online courses. This includes video technology, discussion forums, and the processing of exams and multiple-choice tests. Besides those things, Coursera handles the administration of course participants, including marketing and certificates. With its revenue (coming primarily from course certificates), Coursera finances the operation of the platform. The revenue from a course is shared between Coursera and the university as the content creator. Computer Science professors Daphne Koller and Andrew Ng of Stanford University founded Coursera in 2012. Similar to the foundation of other MOOC platforms, the two Stanford professors started by experimenting with a digital teaching format. The breakthrough came quickly when professor Ng discovered that he was suddenly able to reach 100,000 students per semester via the digital channel (instead of the previous 400 students). Coursera was then quickly set up as a stand-alone MOOC platform and – it is Silicon Valley after all – supported by millions of dollars from venture capital backers. Both founders have meanwhile returned to other scientific activities, and a professional management team now operates Coursera. Even former U.S. President Obama has commented on Coursera´s digital teaching. Around 25% of learners come from the U.S.. The rest is widely distributed around the world. Over 1.5 million learners are from India. The highest growth rates are achieved in emerging markets like Brazil (+82% growth in 2015), India (+70%), and China (+69%). In the U.S. and in European markets, growth rates are also in the high double digits. The average age of Coursera learners is 33 years. 60% of participants are male (due to the slightly higher interest in the many IT courses offered). Around half of the course participants have professional development and career advancement goals when taking MOOCs. Around 30% of Coursera students fall into the category of “lifelong learners”. An interesting development of the digital education at Coursera over the last few years has been the increased offering of Specializations. These are series of 4-5 individual MOOCs on a specific topic, which offer the opportunity for learners to explore a topic in-depth. Specializations end with a Capstone project where the participants can demonstrate their acquired knowledge in a practical example. You can already find these course series on different subjects, with a focus on Computer Science, Programming and IT. You will find them in our directory if you apply the filter "course series". And there are even more comprehensive learning options. With the digital MBA program of the University of Illinois, you will receive a complete MBA education. (The costs amount to a total of $20k USD with selective financial aid being offered as well.) All available MBA courses can be taken online. And since 2016, "Coursera for Business" works with companies to organize the professional training of their employees. Non-native speakers of English often use the chance to learn the English terminology of their subject area through MOOCs, but there is obviously also a global demand for MOOCs in local languages. Coursera, therefore, offers a growing number of subtitle languages for the MOOC video lectures taught in English. Translators from their "Global Translator Community" create subtitles and transcripts for the online courses. For example, according to Coursera, there are 700+ volunteer German translators who are working on translating some of the more popular courses. In addition, ever more MOOCs are being offered in languages other than English. Quite a few courses are already available in Spanish, Chinese, and Russian. Overall, it seems to be just a matter of time until the most important MOOCs can be taken without any English language skills. 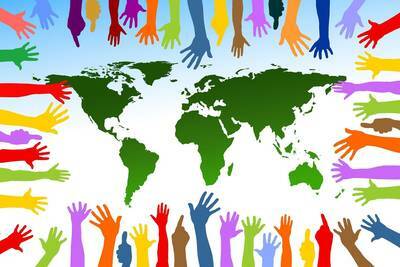 And despite the many existing translators, additional translators for further languages are invited to join. There is, of course, a Coursera app for smartphones. In 2015, the MOOC platform was also the first provider of online education via Apple TV, meaning that you can now obtain expert knowledge from the comfort of your living room. The program "Coursera for Refugees" enables refugees to participate in the financial aid program so that they too can complete courses that include verified certificates. In addition, non-profit organizations for refugees can get free support through the MOOC platform. After the first year of the refugee program, thousands of refugees have already received access to courses, and more than 30 non-profit organizations were supported. 1. The reduced availability of free courses: Initially, most MOOCs were completely free. Today, many courses still offer a free track ("audit"). However, if you need a certificate or if you want to participate in all tests and projects, you may need to pay for it. Course series (Specializations) are only available in a subscription model. While this may be unfortunate for learners, it is probably inevitable for a sustainable operation of the platform. 2. The service availability is viewed critically by some users: MOOC learners sometimes complain about not being able to contact employees directly via telephone or email/chat. The reason, of course, is the high number of course participants worldwide (and only about 200 employees at Coursera). Coursera has therefore created a support forum for MOOC learners. Here, learners get support with their questions. To what extent this will be sufficient in the long run remains to be seen. An often-made request is to offer at least more direct service contacts for fee-based certificate tracks. In 2015, some press reports suspected problems regarding data protection at Coursera for European learners (where users generally expect strict privacy policies from companies). The trigger was a Swiss professor who brought up the topic of data protection during his MOOC on Coursera and then initiated a semi-public argument with the platform. Upon further press inquiry, Coursera later explicitly ensured that they adhere to the EU data protection laws and never sell any participant data (as had been suspected). To date, a remarkable number of European partner universities and countless MOOC participants don’t seem to have experienced any major negative effects in this regard. Coursera (and other MOOC platforms like edX, Udacity, or iversity) love the personal success stories of their graduates. Especially if the online courses enabled the learners to improve their lives in a meaningful way. Perhaps a European learner was able to gain the skills he needed for an undreamed of career advancement. Or an American managed to work her way out of unemployment via online courses. Or an Indian MOOC student was able to change jobs after successfully completing a Specialization; Or a farmer from Tanzania learned about sustainable agriculture via online lessons. The many advantages of flexible online learning are demonstrated by the daily results and feedback from grateful MOOC participants. Coursera, therefore, likes to emphasize its “social mission”. A continuing increase in learner numbers and ever more venture capital financing shows that the biggest MOOC platform continues to pursue its trajectory of success. The company successfully differentiates itself from the other two big U.S.-based platforms by putting more emphasis on practical career development than edX does and by having a broader mix of course subjects than Udacity. For the Coursera team, a social mission regarding their activities seems to be a key motivational factor (besides their economic success). "We envision a world where anyone, anywhere can transform their life by accessing the world’s best learning experience." In our directory, you will find Coursera MOOCs as well as thousands of online courses and online lectures from other providers. Take a look for yourself, and discover the right course for you! Are you interested in online courses? Subscribe to our newsletter here, and follow us on Facebook or Twitter!